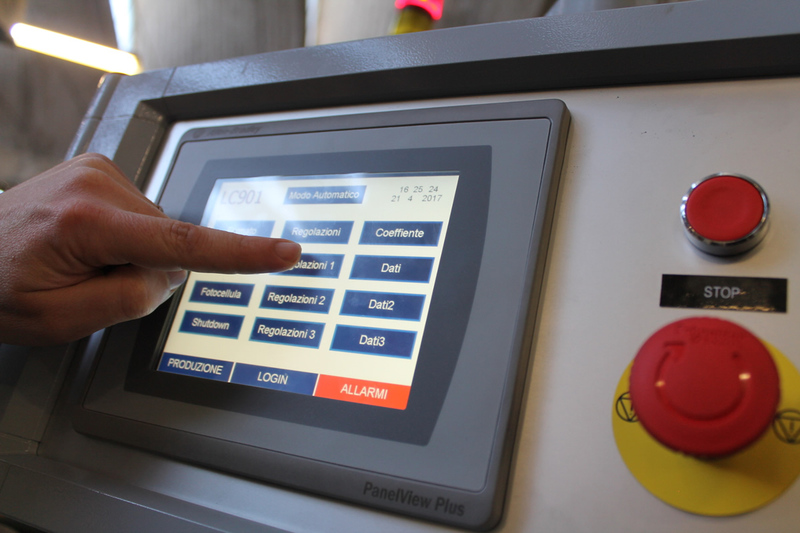 The egg, placed manually on the feeding chain, is picked-up and moved to the feeding station of the base, which is automatically loaded by a special magazine. 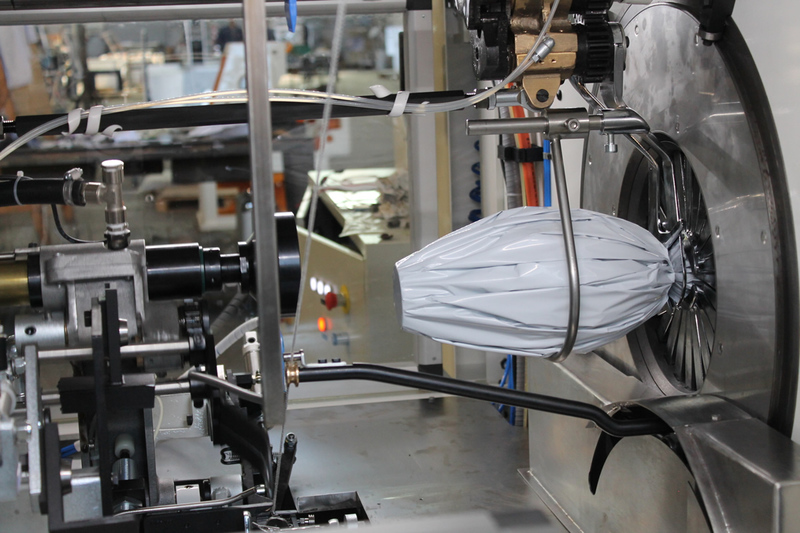 At this point, the wrapping sheet is cut by a reel and it moves toward the wrapping unit where the egg is packed with a bowknot. The feeding chain does not change according to the format but has a capacity of up to seven eggs and can be customised on request. 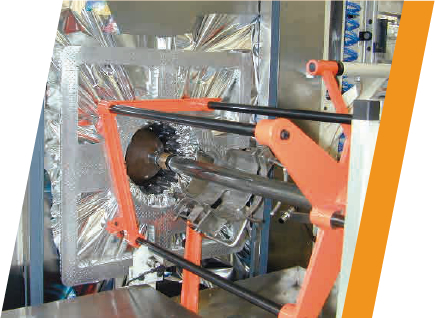 It is possible to install automatic egg loading devices. 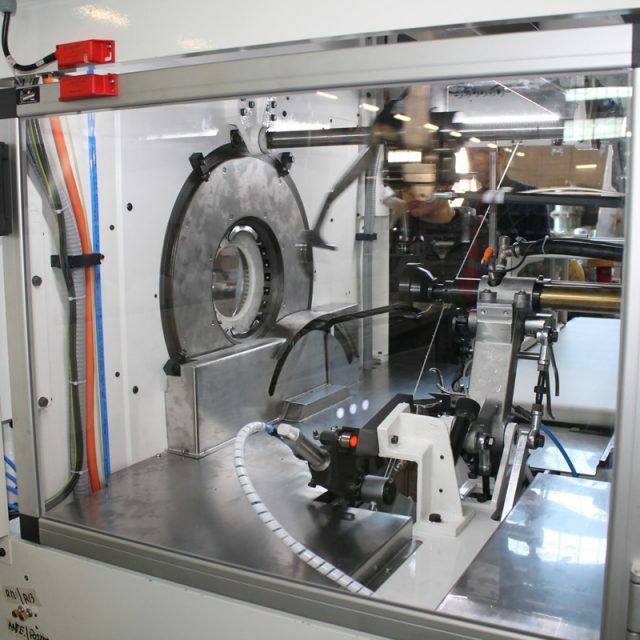 It can work with reels with a continuous or centred print via a photoelectric cell. 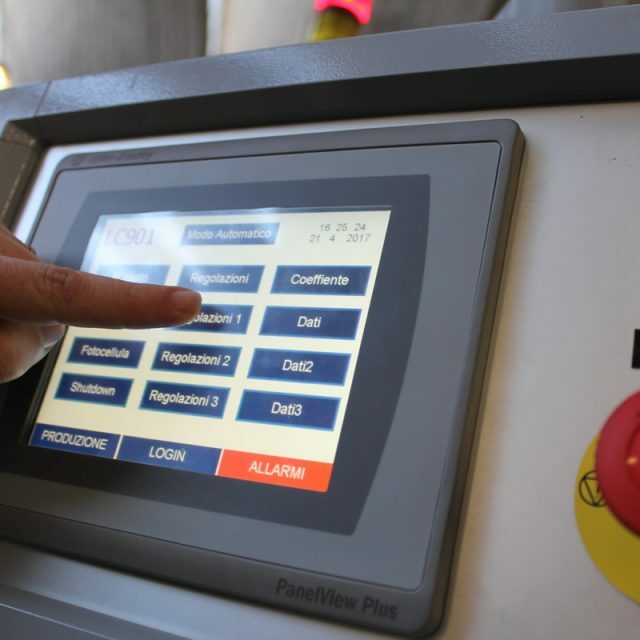 Easily interchangeable formats by simply substituting a few mechanical elements and settings of the parameters from the operator interface display. The bowknot ensures a perfect seal and allows it to be easily undone by simply pulling one of the ends of the string. 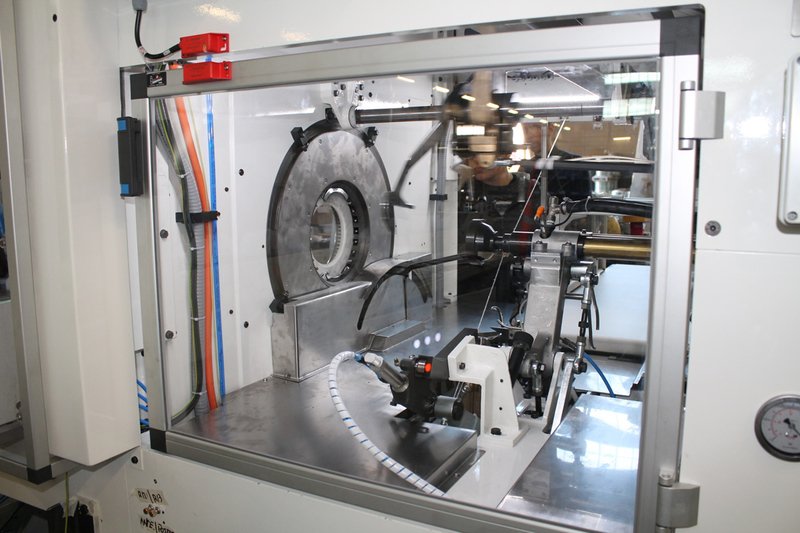 The perfect layout of the sheet folds allows the wrapping to require minimum final adjustments at the exit. 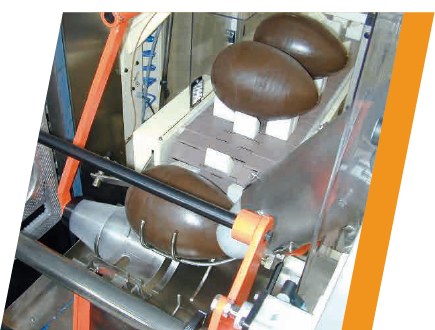 picks up the base and places it in the basket with the egg and together they are transferred to the packing area. 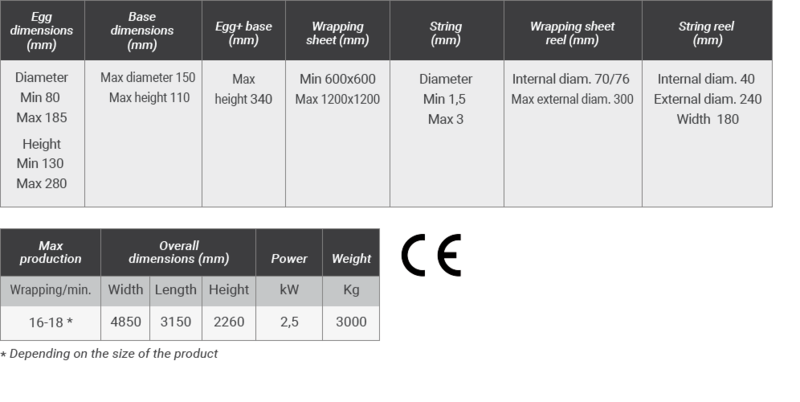 At the same time, the reel unwinds the sheet according to the present length on the display, with either a continuous or centred print. 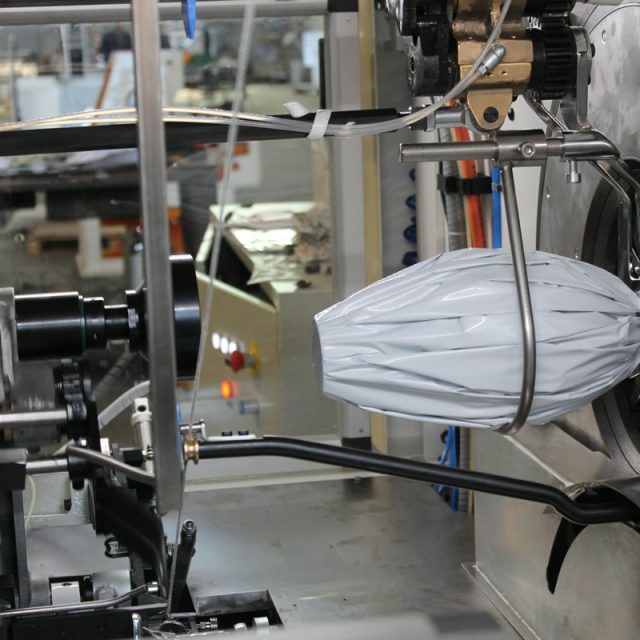 The egg and base are fed into the wrapping area, while a sheet pick-up system shapes the wrapping sheet in order to exert minimum pressure on the egg and minimise any risk of breakage. 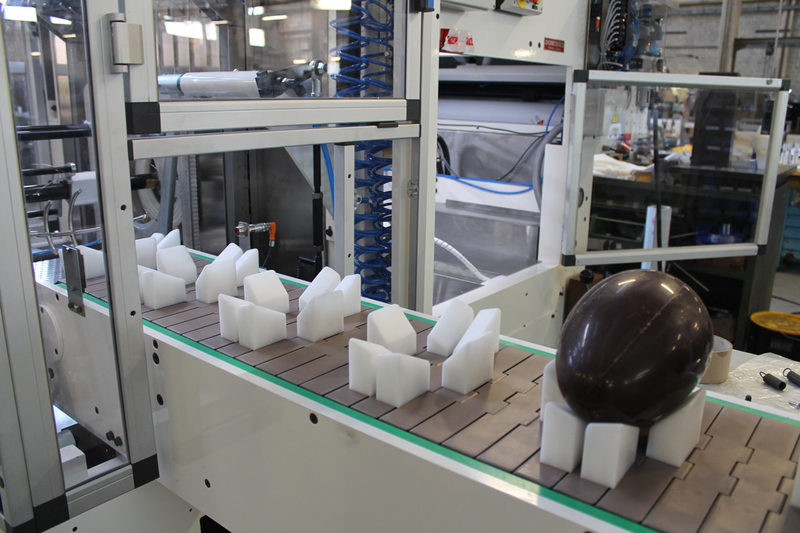 An adjustable contrast creates the necessary pressure on the sheet to control the wrapper adherence to the egg. 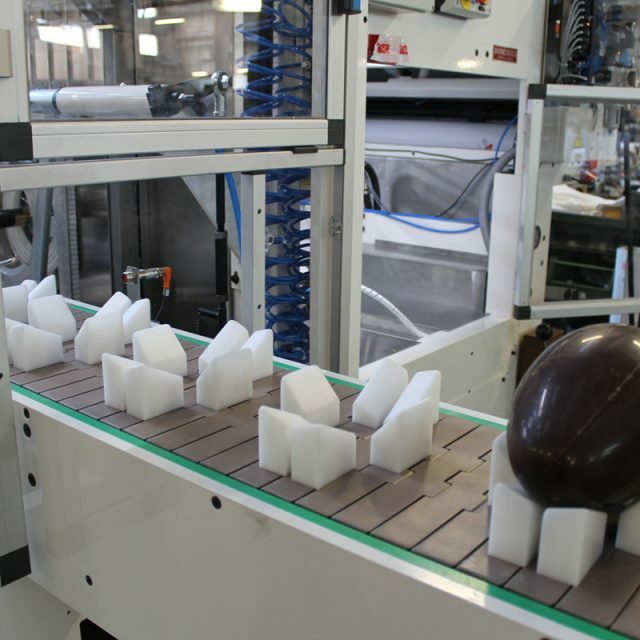 When the sheet filling process is complete, the wrapping is tied with wedges arranged radially to close the sheet around the egg. 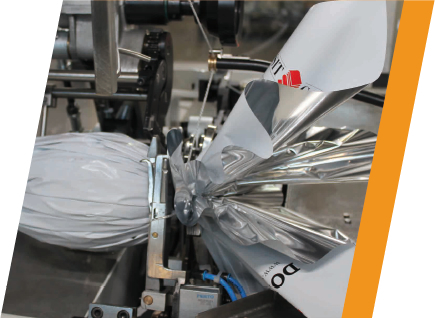 Once the egg is wrapped, it is transferred to the tying area and closed with a bowknot with a string in various diameters from 1.5 to 3 mm, unwound by a reel. A double bowknot is then made which makes it extremely easy to untie by simply pulling one of the ends of the string. 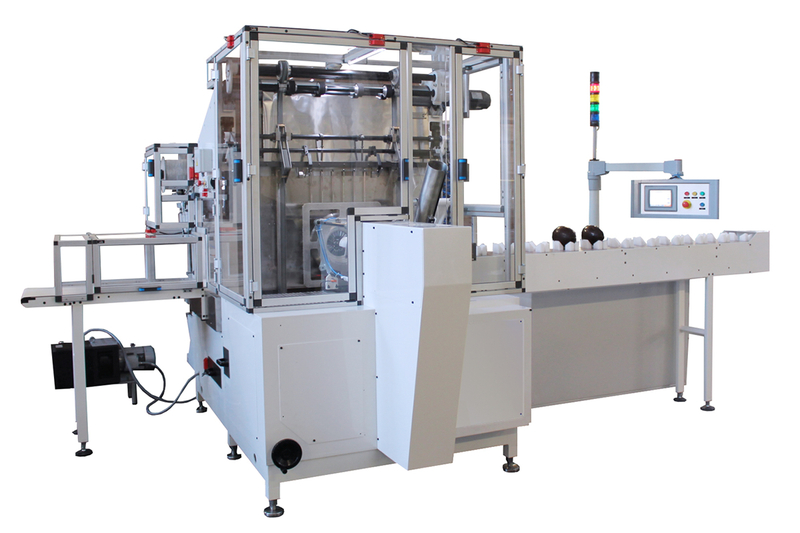 The complete package is then placed on a conveyor belt to exit the machine and move to the packing area or another conveyor belt for the final packaging operations. Centralised lubrication of all main parts.